As you remember, my involvement with NLP began five years ago when I was a somewhat shy associate real estate agent beginning to establish myself in the metroplex market. In my attempts to improve myself, both professionally and personally, I had read many books and taken many trainings. The time and money that I invested into the study of Neuro Linguistic Programming is the best investment I ever made. The really nice part is that I have specific results in my life that came more quickly and easily as a direct result of my experiences with NLP Learning Systems in Piano. During one of the NLP programs, there was an exercise in which each participant experientially identified the goals that they wished to achieve at the end of five years. I am proud to say that I reached all of my goals at the end of two and a half years and have been building success upon success ever since. Goal #1 was to be named the Top Producer in Dallas. That was achieved in just two years’ time with a sales volume over $22 million and awarded the following year. Goal #2 was to earn $250,000. Again, I earned in excess of a quarter of a million dollars by the second year. In addition, though not set out as a specific goal, NLP technology enabled me to facilitate the drug rehabilitation of my son. And, in retrospect, this probably has had more importance to me than my business sales and successes. NLP technology has enhanced my negotiation skills, rapport-building skills and has made all phases of selling significantly easier. In fact, NLP has enhanced all the other sales and motivational trainings that I’ve taken. NLP has had a way of pulling together everything I’ve learned into a body of information that is workable and doable. Visualization has been one of the biggest benefits for me as a result of studying NLP. 1 now know what to visualize and how to visualize it in order to maximize my personal strategies and goals. Since my initial training in 1985, confidence in my personal power to accomplish whatever I set my mind to has soared.. .and keeps climbing. I’m proud to own my own company and support 30 full-time agents on my team. I sincerely believe that none of these successes would have been possible to the degree to which I achieved them within such a short period of time without NLP. I am forever grateful for the technology of NLP and the advanced teaching methods at the NLP Learning Systems Center in Plano. It certainly has impacted the person I am today! 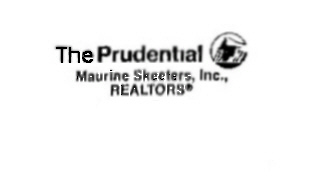 An Independently Owned and Operated Member of The Prudential Fleet Estate Affiliates, Inc.